Our research investigates the mutations responsible for natural evolutionary changes. Since Darwin, research in evolutionary biology tries to understand biodiversity – the great number of species in nature, each with features so well adapted to its environment. In our current understanding of evolution, the genes and the mutations responsible for phenotypic differences have no distinctive features: mutations occur randomly and a few of them happen to spread in populations through selection and chance. However, phenotypic evolution may not be totally random in terms of genetics. There might be rules to be discovered about the mutations underlying evolution. We are using a combination of various approaches to identify the mutations responsible for evolutionary changes and to reconstruct past evolutionary events. We hope that our work will provide new and rigorous data to better understand our evolution, past and future. If you are interested in joining us, for a master, PhD or postdoc project, please contact Virginie Courtier-Orgogozo. We have many projects on Drosophila evolution. The lab is located in the Buffon building on the fourth floor. 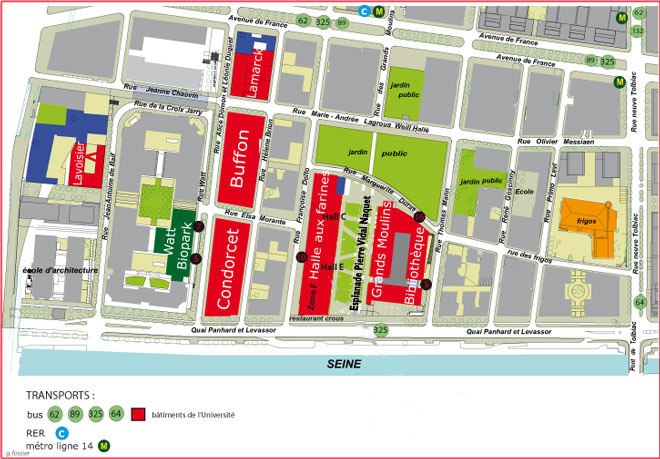 Enter at 15 rue Helene Brion, go across the hall and turn left towards the elevators (door sign “interdit au public”). Take the elevator to the 4th floor. Then turn right twice. We are in rooms 416B and 420B.